The invitation to paint an illustration for each chapter came as my husband and I were preparing to go on a seventeen day voyage to Cape Town, South Africa. I read the first chapter and the psalms 130 and 69 which both spoke of desperate cries for help and in my mind’s eye I saw someone in great danger of drowning in a stormy sea. 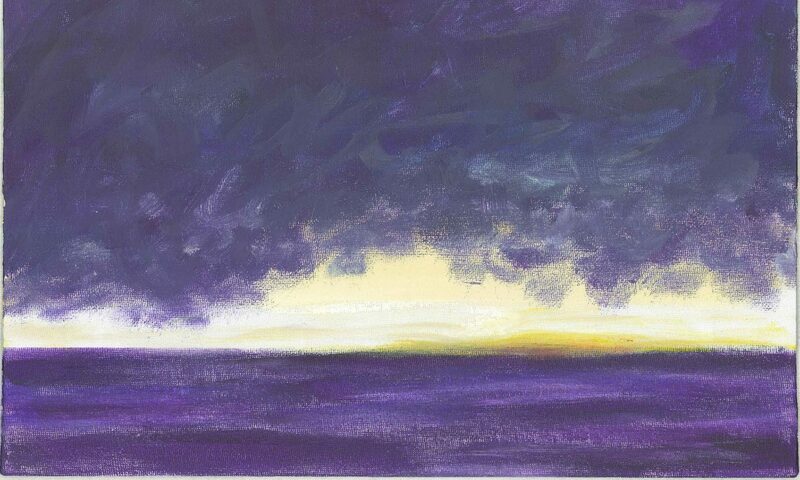 I kept this thought for a painting as our ship laboured through a Force 9 gale in the Bay of Biscay. The waves were huge and the vast ocean was in great turmoil. I attempted to paint a picture of the waves but was not satisfied with the result. “Out of the depths we call to God for help. We feel no rock beneath our feet. Drown, lost forever in the dark waters of the deep. 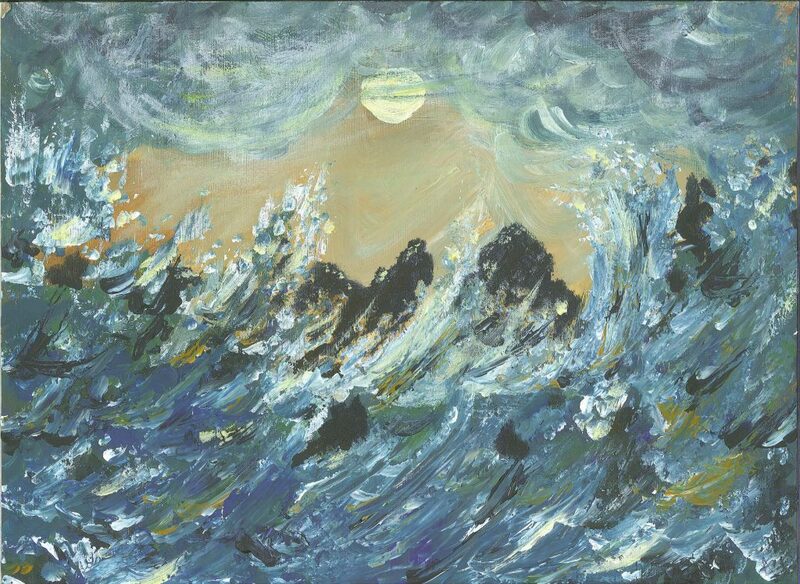 The illustration we chose for Chapter 1 was painted some time ago and was first published in Shafts of Light (2008), a book of paintings and poetry. You might like to compare it to the masterpiece by the Japanese artist Katsushika Hokusai entitled “The Great Wave”.